A few square metres of office space inside the Brussels offices of lobby firm Hill+Knowlton Strategies is home to an international foundation fronting for the Moroccan state. The EuroMedA Foundation, inaugurated over the summer, is the brainchild of French socialist MEP Gilles Pargneaux, and has the aim to create a forum for discussion on how to bridge widening gaps between Africa and the European Union on issues like migration and climate change. "It was a personal proposition from me - and has nothing to do with Morocco," Pargneaux told this website on Tuesday (20 November), adding that the foundation is also not in any way linked to his work as an MEP. But in reality, it fits a broader effort to sway a strategic upcoming European Parliament vote to extend the controversial trade liberalisation agreement between Morocco and the European Union. The parliament's lead negotiator on the trade deal, French liberal MEP Patricia Lalonde, is also on the EuroMedA board along with other former Moroccan state ministers and a top ranking official in Morocco's ministry of agriculture. And on Thursday, Salaheddine Mezouar, Morocco's ex-minister of industry and foreign affairs who now heads a Casablanca-based lobby group that defends, represents, and promotes the interests of Moroccan companies, was listed as EuroMedA's vice-president. The foundation is not in the EU's lobby register. 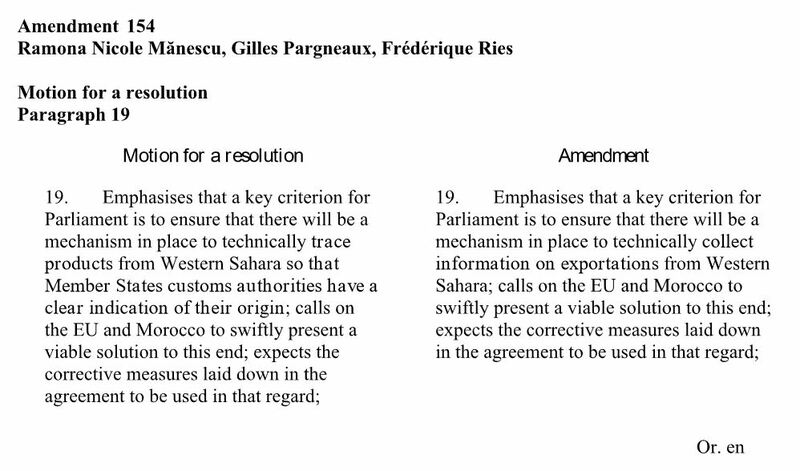 Last week, Pargneaux and two other MEPs at EuroMedA collectively tabled an amendment on Lalonde's draft trade agreement, watering down a provision on tracing Western Sahara agricultural exports to Europe. The trade deal is controversial because it extends into the disputed Western Sahara, an area roughly the size of the United Kingdom. It was invaded in 1975 by Morocco, triggering a brutal conflict with the local Saharawi that ended in a shaky ceasefire in 1991. The United Nations does not recognise the Western Sahara as part of Morocco, yet the European Union has cut trade deals with Rabat to exploit the region's resources. 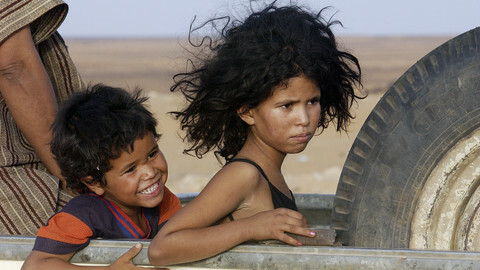 But in 2016, the European Court of Justice declared that the EU's agricultural trade deal cannot cover the Western Sahara. Then, a year later, it declared the fishing agreement also illegal. Pargneaux concedes that the Western Sahara does not belong to Morocco, describing it as a "no man's land, which belongs to nobody". At the same time, he praises Morocco for pouring in money and investment to develop the area. 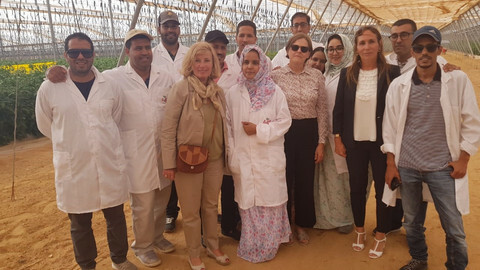 The European Commission has since relaunched a new agricultural trade deal, known as the EU-Morocco Association Agreement, on the premise that it first obtains the consent of the Saharawi. It must now get the approval of the European Parliament, which is set to vote on the matter sometime in January. Morocco wants the deal signed because it paves the way for the much bigger and more lucrative pact on fisheries. The mix of people in the EuroMedA Foundation, given the political sensitivities over the Western Sahara, points to a larger bid by Morocco to exercise direct influence on decision-making at the European level. EuroMedA's vice-president is Salaheddine Mezouar, Morocco's ex-minister of foreign affairs. He was also the country's finance minister as well as commerce and industry minister. Up until 2016, he oversaw a political party founded by King Hassan II's brother-in-law. Today, he heads CGEM, a Casablanca-based lobby group that represents thousands of Moroccan businesses. Its top mission statement priority "is to defend abroad, the economic interests of Moroccan companies." One of EuroMedA founders is Morocco's former minister for health, Mohamed Cheikh Biadillah. Biadillah was elected secretary-general of PAM, a Moroccan political party dubbed the 'palace party' because PAM faithfully toes the Rabat monarchy line on the Western Sahara region. In his youth, Biadillah was also part of a Moroccan student movement that helped launch the Polisario Front, the political arm of the exiled Saharawi people, many of whom fled to neighbouring Algeria. His own brother retains an influential role within the Polisario. 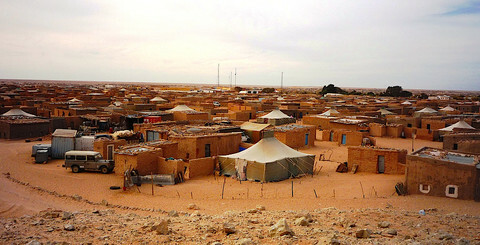 But today, Biadillah wants the ousted Saharawi regime dismantled, whose seat of self-declared governance lays among scattered refugee camps in the Algerian desert. A second EuroMedA founding member is Hill+Knowlton Strategies chief director Alain Berger. He told this website that the foundation sub-leases office space through an "arm's length" deal at the consultancy firm - within short walking distance from the European Parliament. In 2016, Morocco paid Hill+Knowlton between €200,000 to €300,000 in lobby fees. At the time, it was one of their biggest client in Brussels. Today, Berger is EuroMedA's secretary general. Pargneaux has in the past teamed up with Berger on other issues such as the environment, telling EUobserver that their own separate family connections to Morocco are among the reasons that drew them back together. "We still don't have a bank account, so we don't yet have a budget [for the foundation]," says Pargneaux, adding that he hopes it will one day fund NGOs working with migrants in Spain, Italy, schools in southern Tunisia, and integration projects in Morocco. EuroMedA also collaborates with a think tank set up by the OCP Group, a €5bn chemical and mining Moroccan-state owned monopoly. The mining firm has itself courted controversy in the past for its lobbying activities in Washington DC - and now has a foothold inside the European parliament. Pargneaux through his foundation twice invited the OCP think tank, the OCP Policy Center, to lead a discussion at the European Parliament, outlining the strategic importance of maintaining EU relations with Morocco. Those relations includes Morocco's role in renewable energy, stemming migration and cracking down on terrorist cells and radicalisation. Such issues not only resonate well with EU law and policy-decision makers but also appear to render the plight of the Saharawi in the Western Sahara all the more insignificant. The balancing act was on display earlier this year by Lalonde, who sits on the parliament's powerful committee on international trade. "We have strong common interests and especially concerning immigration and security issues like radicalisation and terrorism," she said, when asked to describe the importance of Morocco-EU relations. "We have to prove on the ground that the people of the Western Sahara benefit from the commercial agreement," she added. Because she is the lead MEP on the trade pact, her views will shape the European parliament's overall position. The deal seeks to reduce tariffs on things like tomatoes and fish oils coming out of the disputed territory. That Lalonde is a EuroMedA board member has however raised eyebrows over her neutrality as a rapporteur on such a big file. Although not listed on the official membership roster due to apparent administration issues, Lalonde's office told EUobserver she is also part of the Western Sahara's intergroup in the Parliament. Romanian Romana-Nicole Manescu, a centre-right MEP, and Belgian liberal Frederique Ries, are also on board of the EuroMedA foundation. Fertile fishing off its coast and rich in phosphates, the EU and Morocco had been exploiting the occupied territory for decades until the European Court of Justice ruled it illegal. The Western Sahara is divided by a 2,700km defensive wall, erected by the Moroccan military. 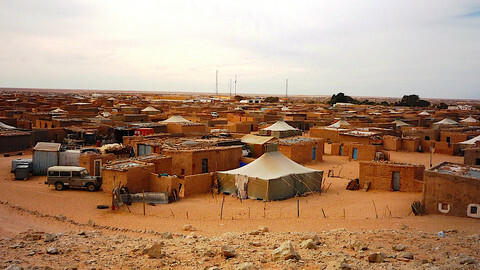 Some Saharawi live in the Moroccan controlled area, while others live in desolate Algerian refugee camps. The court's judgment has complicated trade talks because it means the European Commission must first obtain the consent of the Saharawi people before reaching a deal with Rabat. As part of that task, the Commission claims to have consulted some 112 organisations in Morocco. 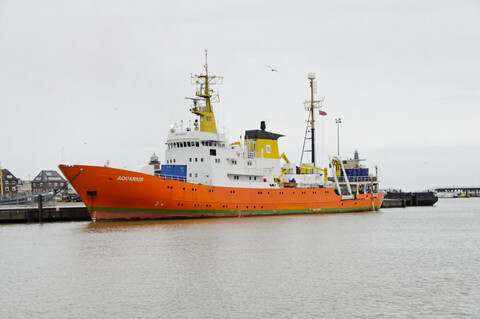 "Among those  organisations was our own organisation - so that, of course, is immediately a red light because we had not taken part in the consultation exercise," said Sara Eyckmans of the Western Sahara Resource Watch, a UK-based NGO. Eyckmans says the commission, in reality, only spoke to 18 groups - which included Morocco's largest mining firm, the OCP Group. Lalonde had herself led a small group of MEPs to Morocco to carry out a similar exercise in September. But things turned ugly when Saharawi activists were brutalised by the Moroccan police for having spoken to one of the MEPs, Finnish Green Heidi Hautala. "All this happened while the parliament delegation was enjoying lavish food from the Moroccan-installed local authorities," wrote Hautala, in an EUobserver opinion piece. To further muddy the waters, the European parliament's legal services have since cast doubt on whether the consent of the Saharawi was actually obtained. And in another twist, the commission's trade talks with Morocco is limited to the part of the Western Sahara under Moroccan-control - excluding a third of the territory. That means should the trade deal go through, the lowered tariffs will not apply to areas of the Western Sahara not controlled by Morocco. "It would be as if the EU would negotiate a trade deal with New Zealand for Australia and only apply it to Tasmania," according to the Western Sahara Resource Watch. Meanwhile, the four committees in the European Parliament working on the December report are also feeling the Moroccan heat. Last month, Morocco's ambassador to Austria Lotfi Bouchaara issued a warning to MEPs sitting in the parliament's agricultural committee. 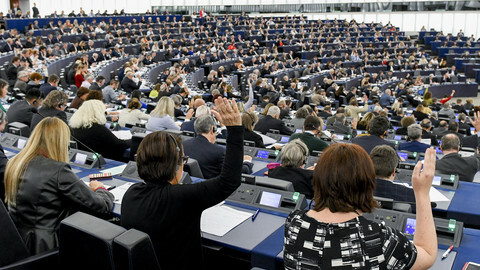 The MEPs were set to vote on their position paper that feeds into the trade pact vote. In a letter, seen by EUobserver, Bouchaara described dozens of their amendments, tabled across all the political groups, as "hostile" and politically motivated. He warned the EU-Morocco relationship was at risk of unravelling, suggesting that Rabat's fight against terrorism, migration flows and security issues to the benefit the EU, now hangs in the balance. Bouchaara's threat might have paid off. 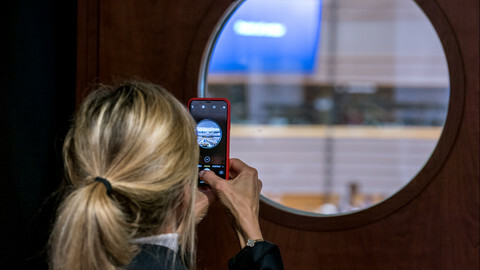 The committee last week voted in favour of extending the trade agreement on agriculture, irrespective of the Western Sahara issue - posing questions on the European parliament's stated aim of defending the human rights of minorities the world over. Austrian Green MEP Thomas Waitz, who sits on the agricultural committee, said it now appears increasingly likely that the final report in December will also weigh in Morocco's favour. He said agreeing to allow Moroccan farmers in the disputed territory to sell their goods in Europe would set the groundwork for much bigger and more lucrative deals on fish later on. "There is a big interest of French and Spanish trawlers and companies to get these fishing rights. There are already deals in the pipeline between Morocco and French and Spanish companies on trawling these fish grounds," he said. 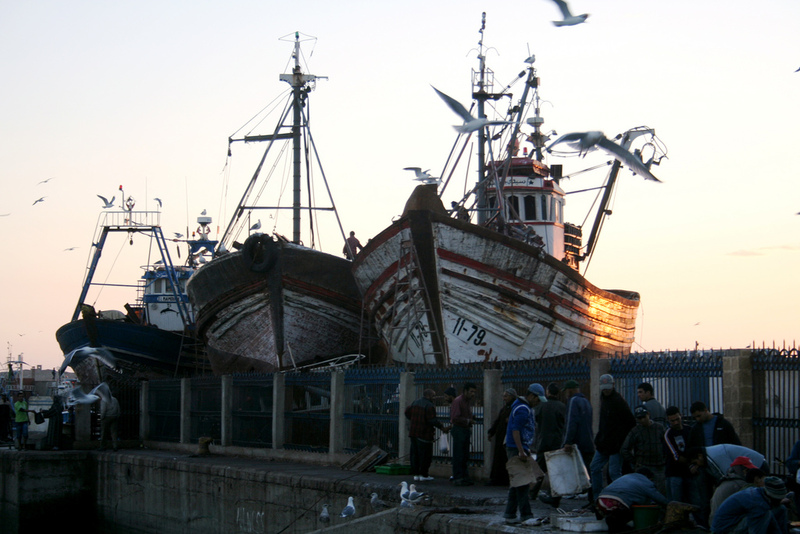 It means Morocco may once again in the future receive millions of EU funds every year in return for allowing European trawlers to fish off a coastline that does not belong to Morocco. This article was updated at 16:55 on 23 November 2018 to add a comment by MEP Lalonde's office that she is also a member of the parliament's Western Sahara intergroup. If my region in the Sahara were excluded, it would strongly undermine our development, with a risk of opening the door to radicalisation and undermining the stability of the whole Mediterranean region, especially with respect to security and migration. 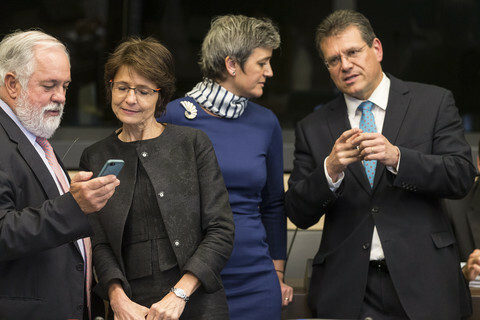 The Greens have demanded an EU parliament code of conduct probe against a group of MEPs following an EUobserver investigation on Moroccan lobbying.